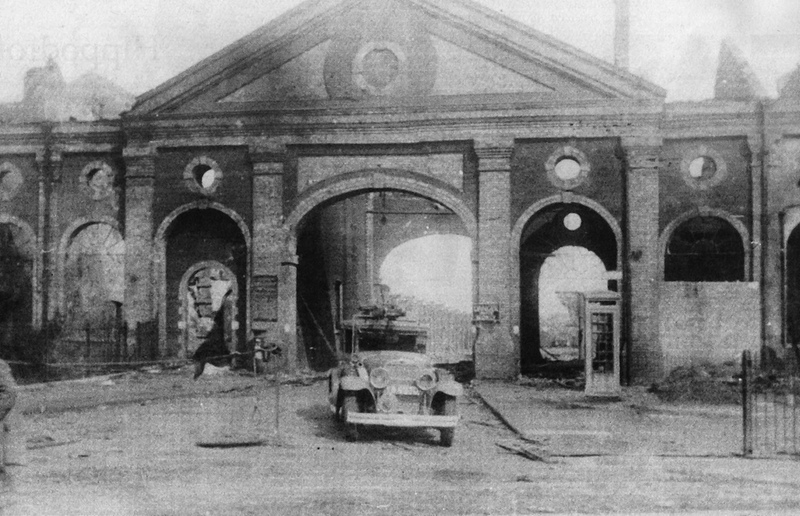 A Blitz Ghost of the Portico of City Station, just at the bottom of Barn Road in Norwich being dismantled by one man and a hammer. 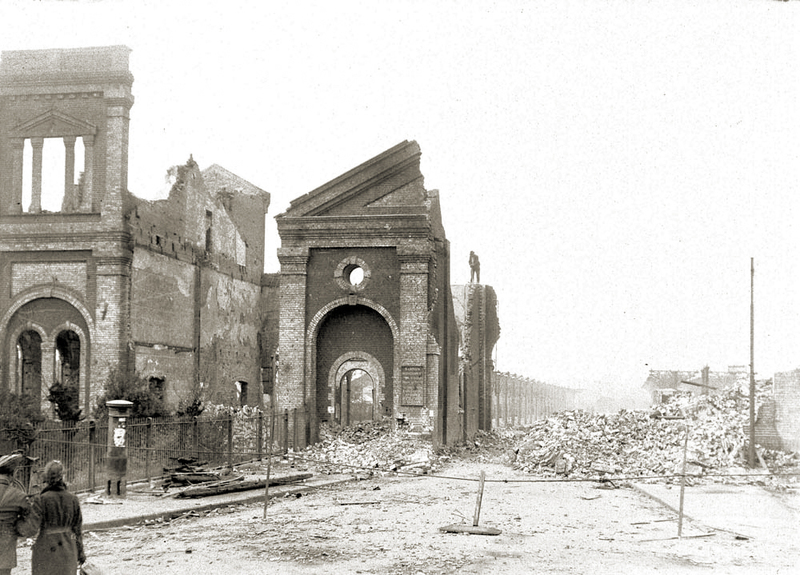 The Station was bombed on the first night of the raids, Not built on entirely solid ground, it’s basically marsh land round there and I believe that one of the river tributaries flowed under the platforms too. The attach took the form of four 250kg HE bombs, which cracked the brickwork and rendered it all a bit unsafe. 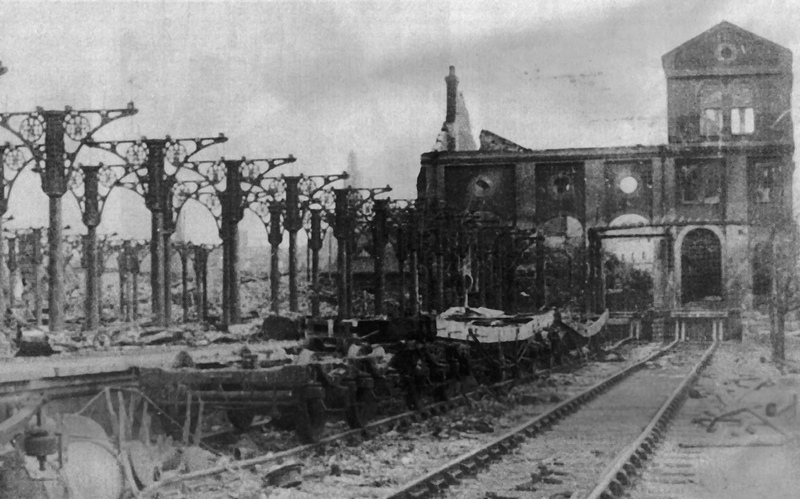 This was followed by incendiaries which then burnt down all the passenger shelters and the trains that were in the station too. The station continued to be used until the 1960s, it shut in the 60s for passengers and freight a bit later. 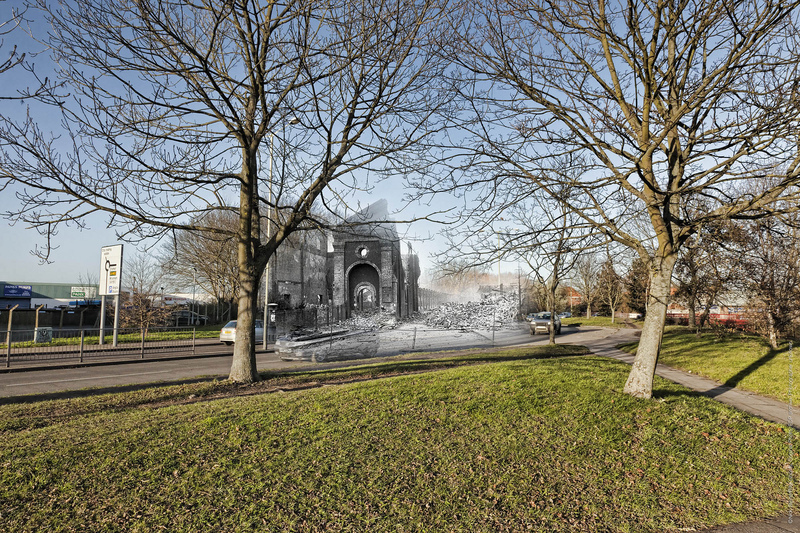 the bit where the portico stood is now obviously a dual carriageway. A couple of the platforms are still there, various people have been busily digging it up until halted due to some soil tests revealing very small quantities of asbestos and cyanide residue. Enough to halt the dig. Shame really. Since I originally didn’t finish writing this post it has also been discovered that Norfolk County Council own the site which they have decided is worth selling… I have no idea why as you’d be hard pushed to build on it and I’d rather nobody did really as would a lot of local people who use Marriott’s Way to take the dog for a walk. I should remain a public space with it’s history still evident. Addenda: February 2015. The site is currently safe and being managed by Norwich City Council, FONCS and Friends of Train Wood. Safe in Public hands.